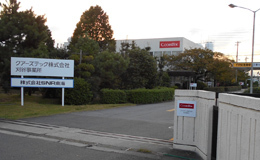 CoorsTek’ business in the Kariya region dates back to 1918, when the Kariya Manufacturing Plant was established as Toyo Taika Renga Co., Ltd., our predecessor. Kariya Facility manufactures a variety of fine ceramic products including equipment parts used in semiconductor manufacturing, kiln furniture for sintering electric parts and ceramic radiant tubes. Our production facility previously known as the Functional Refractory Company has been reorganized as SN Refractecture Tokai. It is a joint venture with Krosaki Harima Corporation , and our production of refractories for continuous steel casting, including slide gate plates, continues and is sold by Krosaki Harima Corporation. .